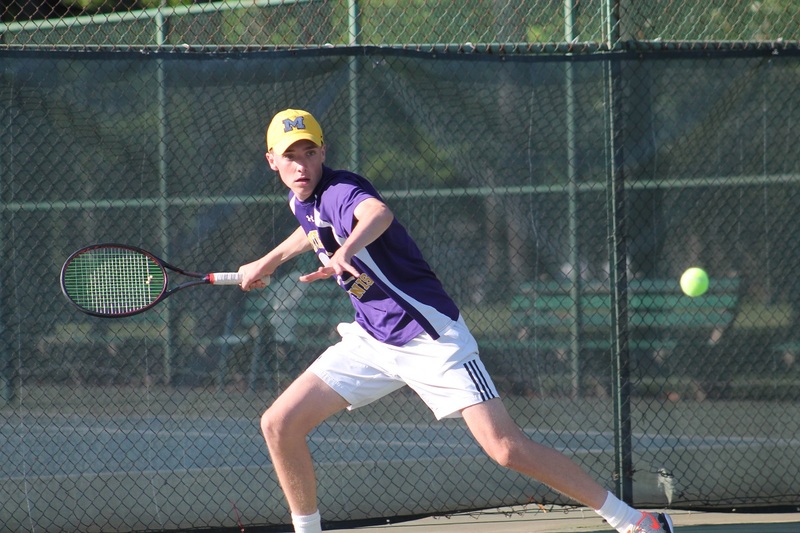 With one year left before he heads to Ann Arbor and play for the Michigan Wolverines, Oyster Bay’s Patrick Maloney wanted to play high school tennis in his senior season and compete for a county and state title. 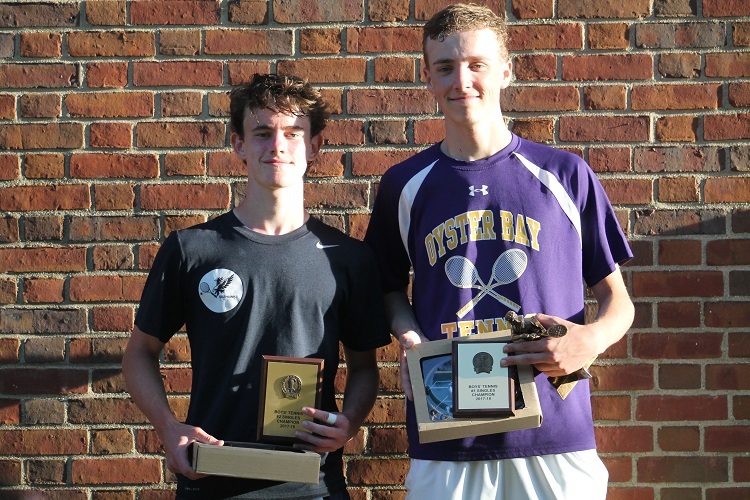 He completed the first half of that on Monday afternoon at Eisenhower Park in East Meadow as he defeated Cold Spring Harbor’s Matt Cashin 6-2, 6-1 to win the Nassau County Singles title. 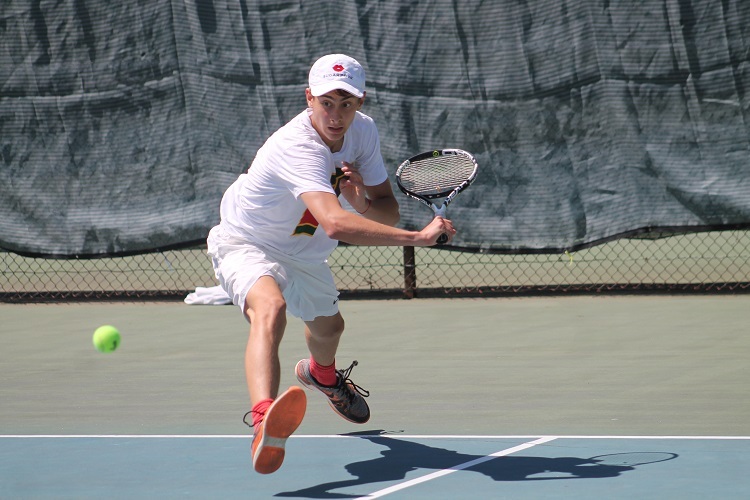 The top-seeded Maloney dropped just five games throughout the tournament, which was played over the course of two weekends and concluding on Monday, thanks to multiple weather delays and postponements. Maloney played at the varsity level when he was a seventh-grader, but had to stop over the next few years as he had a full schedule of sectional and national tournaments that required a lot of traveling during the spring. With a lighter schedule load this season, Maloney decided to play in his final season as a high schooler. Patrick Maloney (right) and Matt Cashin (left) met in the Nassau County final, and will be joined by Port Washington's Gabriele Brancatelli at the NYSPHSAA Championships. 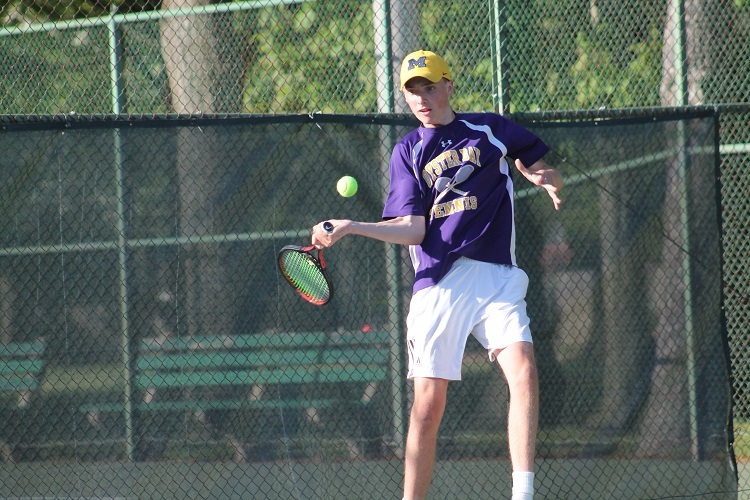 By playing in his senior year, his impact stretched further than his own on-court success, as he was able to be a role model for his Oyster Bay teammates. 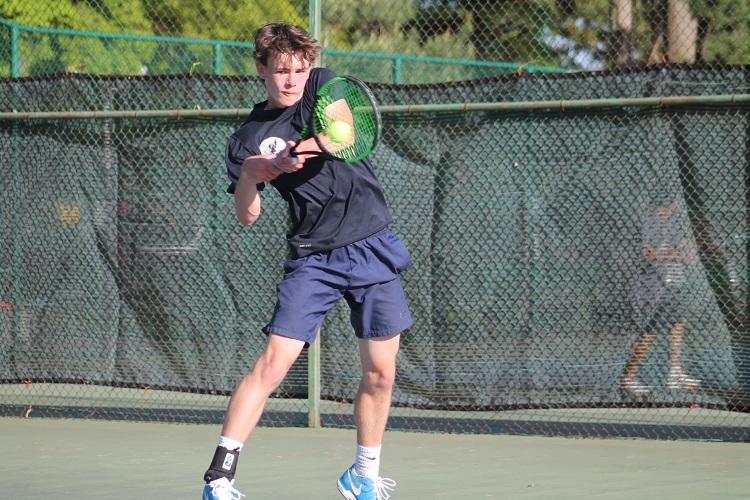 Maloney now awaits the start of the New York State Public High School Athletic Association (NYSPHSAA) Championships, where he is likely to be the tournament’s top seed. 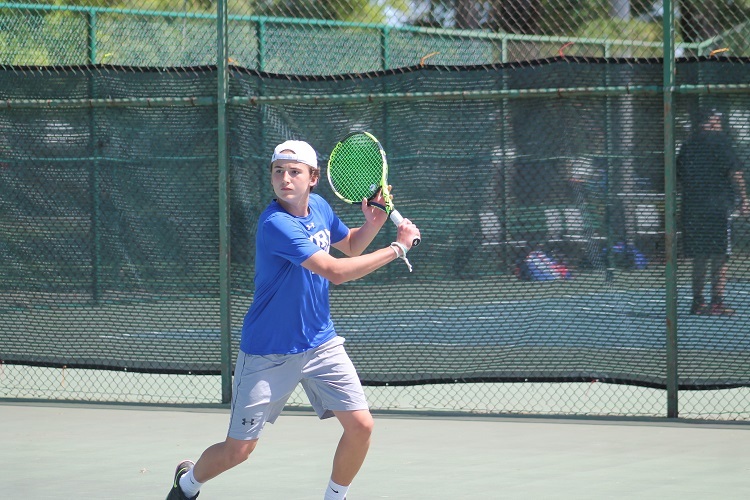 By way of his second-place finish, Cashin also qualifies for next weekend’s state tournament, as does Port Washington’s Gabriele Brancatelli, who finished in third after Wheatley’s Michael Medvedev was forced to retire with an injury.